In recent decades, the increasing mobility of companies and capital has led to fierce inter-national tax competition and brought down corporate taxes. Median statutory corporate tax rates in high-income countries have plummeted from about 50% in the 1980s to less than 30% in the 2010s. This decline in tax rates is putting an increasing strain on public budgets, and fiercer tax competition has the potential to undermine spending on infrastructure, education, healthcare, and other vital areas. It impedes the fight against inequality and fuels the discontent with globalisation. Brexit could accelerate the tax rate even further. Eroding tax revenues are a likely collateral damage of Brexit on both sides of the Channel. So why could Brexit intensify tax competition? One reason is that exporters will be hit if trade barriers are erected between the UK and the European Union. New trade barriers will also reduce the attractiveness of the UK as a destination for foreign direct investments (FDIs), particularly since many of the foreign investors have specifically chosen the UK as a port of entry to the European single market. With FDIs drying up and UK businesses losing ground in the EU, the economic framework for corporate tax policy will change. To restore competitiveness, the British government will very likely reduce the tax burden of UK-based companies. As Philip Hammond has stressed, the UK could drastically slash corporate taxes if British exporters lost their current access to the single market. Such a move would in turn put pressure on the remaining EU member states to follow suit and cut their taxes too. The Republic of Ireland in particular would not stay idle in response to a more aggressive tax policy of its neighbour. 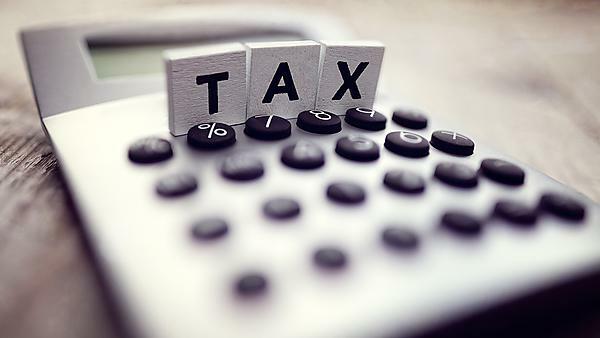 As a result, declining taxes in the UK would sound the alarm bell for a new round of fierce international tax competition, reinforcing a fall in tax revenues. Alternatively, intensified international competition could manifest itself in an upward spiral of subsidies and compensation payments to exporters which suffer from higher trade costs and tariffs, putting strain on public finances in very much the same way as a downward spiral of tax rates. The answer to harmful tax competition is for nations to join forces in bringing about a form of international tax coordination. Imposing the same rates across countries is certainly not a way forward since smaller countries, which benefit from undercutting larger neighbours, would certainly oppose such measures. However, there are potentially suitable strategies of limited international coordination that could make all the countries involved better off. Such strategies aim at, for instance, introducing minimum tax rates, limiting particularly harmful tax regimes, and ensuring that company profits are attributed to, and taxed in, individual countries according to the ‘true’ economic activities in these countries. Alas, Brexit makes policy coordination more difficult, which is another reason why tax competition will, if anything, intensify in the wake of Brexit. Within the EU, different policy issues can be fairly easily linked with each other, and concessions of a member state in one area can be compensated by concessions to this member state in other areas. Such issue linkages can facilitate beneficial agreements and are much easier to arrange under the umbrella of the EU, with its multitude of ongoing political projects, than between the EU and third parties. The mismatch between the limited geographical reach of individual countries and the global activities of multinational enterprises prevents an efficient and fair taxation of businesses. Brexit worsens this mismatch, which is at the heart of the problem of international tax competition, as it undermines international cooperation and incentivises countries to follow a more aggressive tax strategy. To limit the negative effect of Brexit on tax competition and revenues, the UK and the EU should maintain the current level of economic integration as far as possible. A comprehensive agreement between the UK and the EU could ensure that the market position and competitiveness of British businesses remains largely unaffected. This would curb the downward pressure on corporate taxes and tax revenues in the UK and prevent an accelerating tax race to the bottom at the expense of both the UK and the EU. Also, the UK and the EU should maintain a strong partnership and continue to coordinate their tax policies and initiatives. Coordination at the European level is necessary to avoid wasteful tax competition. However, it alone is insufficient to generate efficient policies and needs to be accompanied by coordination at a more global level. Finally, to safeguard the competitiveness of the UK in the post-Brexit era, the British government should focus on productivity enhancing measures (such as improving infrastructure and skills) rather than on cutting corporate taxes or making compensation payments to companies for higher trade costs and tariffs. After all, the latter strategies are at best a short-term fix, while focussing all our efforts on productivity enhancing measures are more likely to generate long-lasting GDP gains.